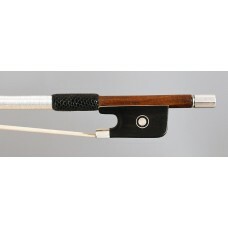 A fine French cello bow made by Charles Nicolas Bazin - 1880 ! 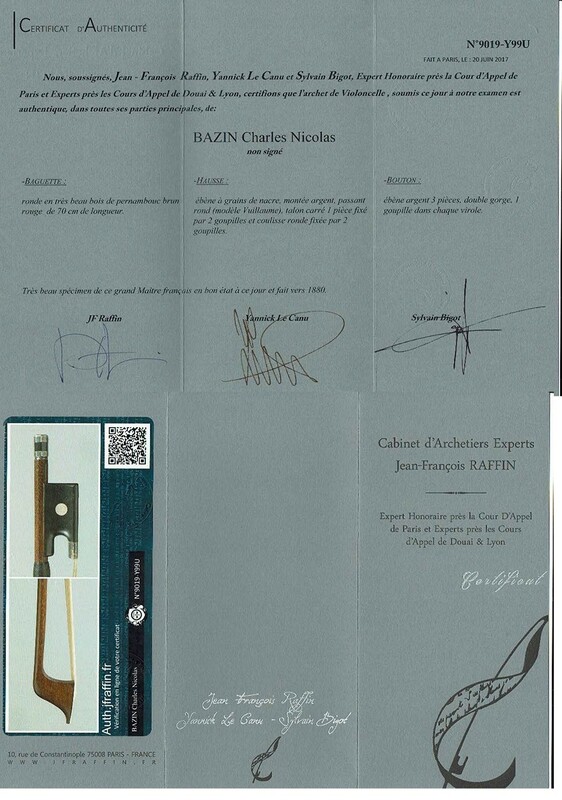 A fine professional silver mounted cello bow made by Charles Nicolas Bazin (made around 1880) - certified by JF Raffin. 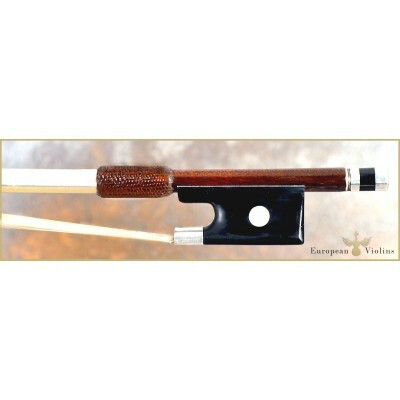 This beautiful and elegant cello bow is made in a lovely J.B. Vuillaume model. The rround orange-brown pernambucco stick is strong but elegant, with a fine curve,and a good balance. This silver mounted Charles Nicolas Bazin bow plays very easy- reacts fast and precise- and produces a full and strong and open tone. 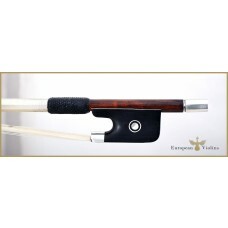 It is a prefect cello bow for the solo player or the advanced student. 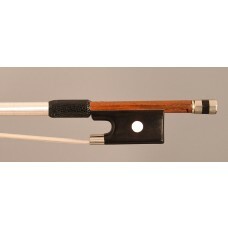 The length of the stick is around 70 cm (4/4 size)and the weight of the bow is c. 80.5 gr. It comes with new hair and new leather grip, and pure silver winding. 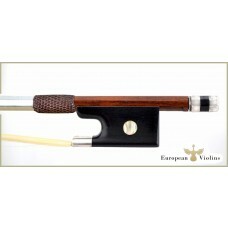 Ebony frog with pearl eyes and three part silver adjuster. 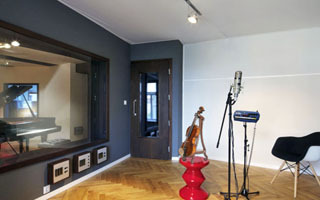 Pls contact us if you need more info !